Mr. Ortiz has been handling car accident cases for over a decade, and as a Florida personal injury attorney he has experience in handling all types of car accidents. From hit-and-run accidents to multi-vehicle crashes, Mr. Ortiz has helped his clients recover the money they are entitled to as damages for their injuries. The types of accidents listed below are just a representative sample and not an exclusive list of the types of cases we handle. Regardless of the accident type, the Ortiz Law Firm is here to fight for you and protect your legal rights. We help our clients obtain just compensation for medical bills, lost time at work, loss of earning capacity and pain and suffering. Our accident legal team can assist you in handling the day-to-day hassles of your case. 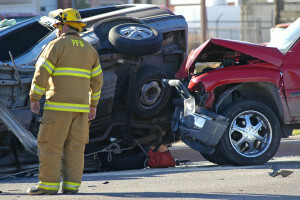 Our law firm has the experience and resources to handle car accident cases. Each case is unique. We may need to hire investigators to collect evidence, hire experts to reconstruct your car accident, and advance your upfront costs. There’s never a attorney’s fee unless (and until) we recover money for you from a settlement or jury verdict. Since 2002, Mr. Ortiz has stood up to pushy insurance companies and and adjusters so his clients could focus on healing and getting better. Car accidents cause extreme financial hardship in addition to the physical and emotional toll on you and your family. If you’ve suffered injuries in a car accident, the Ortiz Law Firm will fight to get you the money you need to compensate you for your injuries. Our goal is to help you recover damages for your past injuries, and to help you plan for the future and make sure you get the maximum amount of compensation you deserve. We are here to help with your car accident case. Please do not hesitate to contact Pensacola Florida attorney Nick A. Ortiz as soon as possible as there may be time limits to your claim. You do not have to pay any fees in a free initial consultation, and there is no obligation to use our services. If we do not get recover any damages for you, then you do not owe us any fees. That has Mr. Ortiz’s guarantee for over 12 years, and he still stands by it today.